New deal sees MP & Silva purchase media rights for VELUX EHF Champions League and EHF Champions League in France and North America. EHF Marketing GmbH, the marketing arm of the European Handball Federation, has announced a new deal with MP & Silva, one of the world’s leading sports media companies. The agreement will see the company purchase all media rights for all platforms for the VELUX EHF Champions League and the EHF Women’s Champions League in France, USA and Canada from the start of the 2012/13 season and for the next five years. The company’s rights in the three markets will extend to all matches of the men’s competition, the VELUX EHF Champions League and the EHF Women’s Champions League, and will include the weekly magazine show “Rewind – The Handball Show” and Match of the Week, produced in HD with full commentary in English. The worldwide streaming rights for betting companies are also part of the agreement, which will run until the end of the 2016/17 season. MP & Silva is a leading international media company that owns, manages and distributes television and media rights to some of the most prestigious sports events around the world. With an annual turnover in excess of USD 300 million, the MP & Silva group has established an exemplary track record in distributing on a worldwide basis TV and media rights for sports federations, leagues, clubs and rights holders and represents some of the most important and world-class sports events. 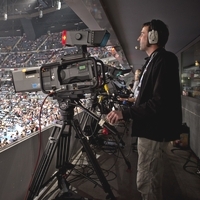 The company’s unparalleled television rights portfolio – providing annually over 10,000 hours of programming to over 500 broadcasters in 215 countries – includes Italian Serie A, English Premier League, Spanish La Liga, German Bundesliga, French Ligue 1, Major League Soccer (MLS), Brazilian national league (Brasileiro), Greek Superleague, Arsenal Football Club, the AC Milan Channel, several Asian National Federations, French Open at Roland Garros, eight ATP World Tour tennis tournaments, EHF Champions League, FIA GT1 World Championship, DTM, Baseball World Cup, National Basketball Association (NBA), Spanish Basketball League (Liga Endesa) and more. Headquartered in London and Singapore, MP & Silva operates worldwide through regional offices in Beijing, Budapest, Dubai, Dublin, Hanoi, Miami, Milan, Monaco, Munich, New York, Tokyo and Warsaw.